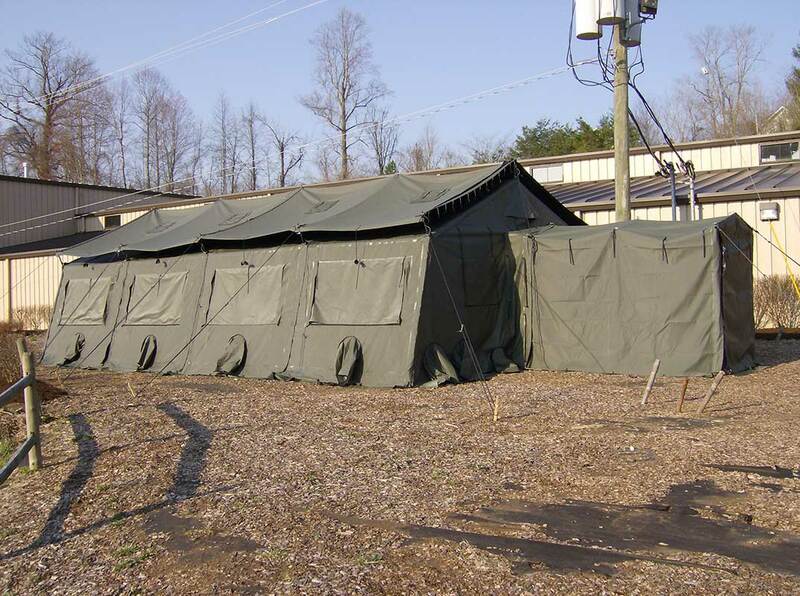 The TEMPER tent can be extended in length in 8 ft. increments and can be erected in 40 minutes by 5 soldiers (Type IV). The floor area is 640 sq. ft. (Type IV, Personnel -- 4 sections). Outdoor Venture redesigned the TEMPER tent with a new leak free heat sealed outer shell system. 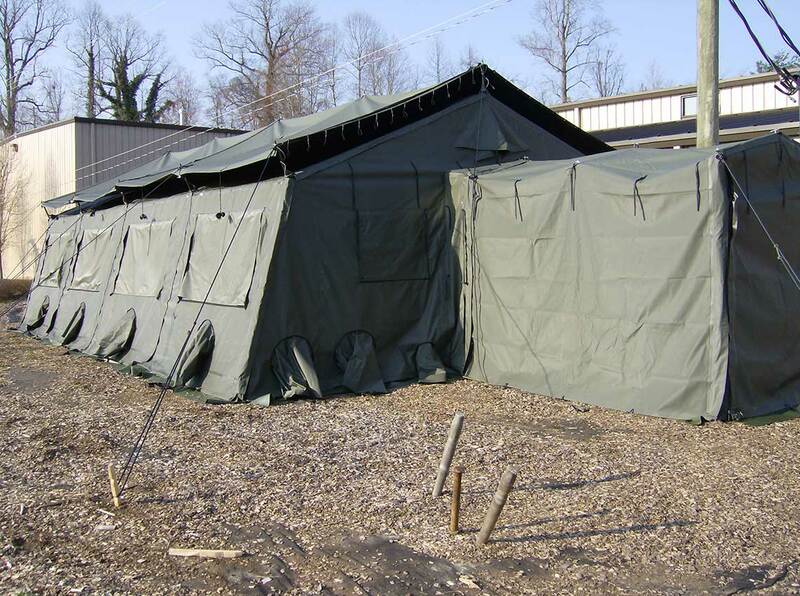 Designed to withstand various weather conditions, including desert, tropical and temperate climates, the TEMPER tents' outer cloth colors (camo green or desert tan) are designed to camouflage the TEMPER tent against the intended terrain and are visual and electronic suppressive with a blackout coating for protection from night optic vision gear. We have upgraded the traditional Temper Tent Module with a new leak free heat sealed outer shell system. An optional wind resistant fly is also available for the reduction of heat load. The TEMPER tent has many major components. The major fabric components include the window section, end section, door section and fly. The fly covers the roof of the tent and provides supporting insulation. Utility support for these tents includes electrical service for lighting and convenience outlets and provisions for heating and cooling. NEW leak free heat sealed blackout material outer shell system with optional wind resistant fly! Designed to withstand various climates and weather elements including wet, snow, high wind and tropical conditions!